In 1861 Savannah, Georgia, shy Keziah Montgomery has one goal – to survive the Ballingers’ ball without having one of the epileptic fits that mortify her parents and would destroy her marital prospects. Dr. Micah Greyson is home from medical school in Philadelphia. With his new abolitionist views, Savannah no longer appeals to him – until he becomes reacquainted with the childhood friend he called Kizzie – who is no longer a child. As the Civil War breaks out, Micah takes Keziah to an abolitionist meeting, and her eyes are opened to the suffering around her. She begins to see her family’s slaves as the humans they are and makes the difficult decision to help a child lost along the Underground Railroad. As the war heats up, losses rack Savannah and the Union blockade leads to shortages and hunger. Keziah and Micah plunge deeper into clandestine activities helping slaves find freedom, but will Keziah’s epilepsy be her undoing? And can she overcome the grave dangers from within her own home? A truly lovely debut novel. 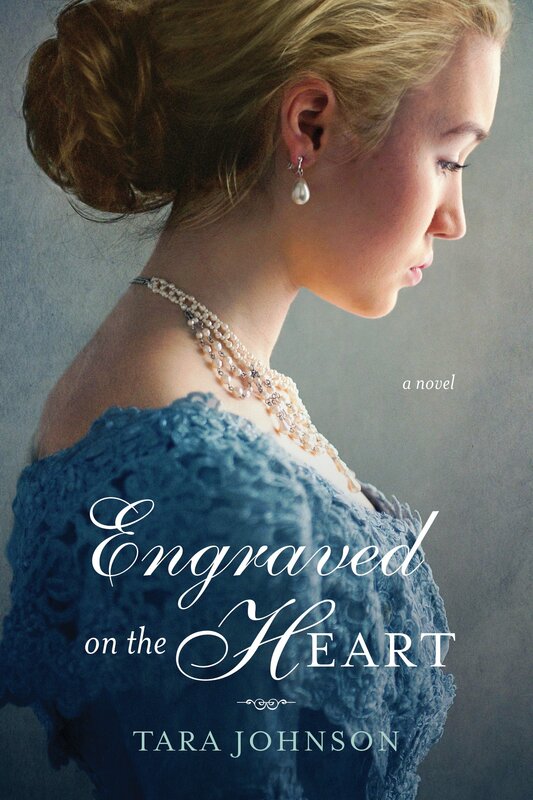 Through the eyes of an unlikely heroine awakening to the injustices of slavery, Engraved on the Heart brings Savannah, Georgia during the Civil War to life. Tara Johnson writes with honesty and compassion, undergirded with solid research. The characters are lovingly drawn, and Keziah’s growth from sheltered weakness to faithful courage is simply radiant. A book to savor and an author to watch! This sounds fabulous! Both the intrigue of helping slaves escape and the challenges of a chronic illness. This sounds so good! On my TBR list! Thanks for sharing!